Knowledge Hunter: Information Architecture or Information Anxiety? Information Architecture or Information Anxiety? 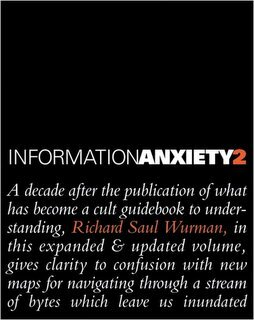 After the great book by Richard Saul Wurman I mentioned before, here's a new one by the man himself! Buy it, read it, inculcate it all and stop making confusagrams and start building usable sites, with useful stuff on it. This blog is not an example! So what is the web 2.0 ?